If you have been injured in an accident caused by negligence, we are here to help. At the Jaklitsch Law Group, our personal injury attorneys have the skills and experience to successfully pursue your case. 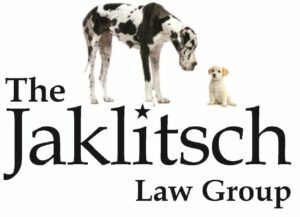 Jaklitsch Law Group: The Personal Injury Attorneys Call for a Free Consultation: 301-627-8700 or 866-586-6079 Whatever the size of your case, you can rely on us for personal service and quality legal representation. Our attorneys have been recognized by their peers for the quality of their legal work. We have won the gratitude of our clients for helping them through difficult times and obtaining impressive results. To learn more about our legal team, please follow the links below. To arrange a free consultation about your personal injury case, please contact our law firm today. Our lawyers represent injured people throughout the state of Maryland and the District of Columbia.